Microthol - Microkosmos. Vinyl LP. Bleep. 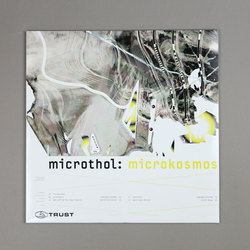 Microthol’s 2006 LP Microkosmos gets a timely reissue through TRUST Records (DJ Glow, Kamikaze Space Programme). To date this is the only full-length in the Austrian duo’s discography, and it’s one of those records that’s so good it makes you wish they’d do another. 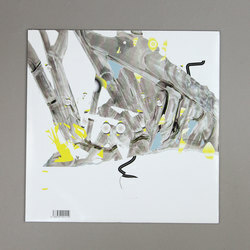 The resurgence of electro, acid and braindance that we’ve seen over the past decade owes a lot to Microkosmos’ 303-helmed paeans. We’d wager the folks behind Central Processing Unit, Analogical Forces and Balkan Vinyl all kept a copy of Microkosmos on their record player when starting out.